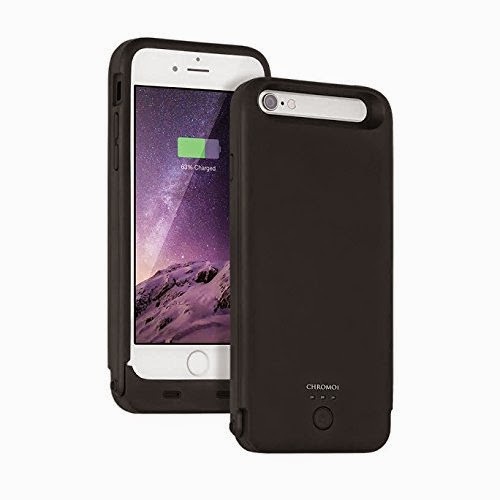 Apple MFi Certified iPhone 6 Battery Case Review. This review is going to be a bit hard for me. I received the product for review purposes. i am not sure if I received a faulty product or if the product is just bad. I tried to contact the company but they have not told me what to do with this review. I feel bad writing a review if its bad. I mean I may have gotten a bad batch. It happens but my review is due tomorrow. So what happened you might be asking? For the 1st week or so the case was great. Double battery life is a must. But then all of a sudden I started having charging problems. The phone would go from 80% to 20% in a matter of Five minutes. Then all of a sudden my screen started going black. My carrier suggested discontinuing use of the case. Whatever, was happening continued and I got stuck buying a new phone. I DO NOT recommend this product. OZ Naturals mineral cleanser was supposed to be reviewed with an earlier product. But due to errors in shipping and it taking forever to get a response from the company. I am doing the review now. I have been washing with this product for about two weeks now. It does work great for taking off makeup. And you know I love my makeup. Normally with washes like this I remove my eye makeup and face makeup together. However, my eyes burn when I do that. So this I recommend as a great face wash but remove eye make up separate. 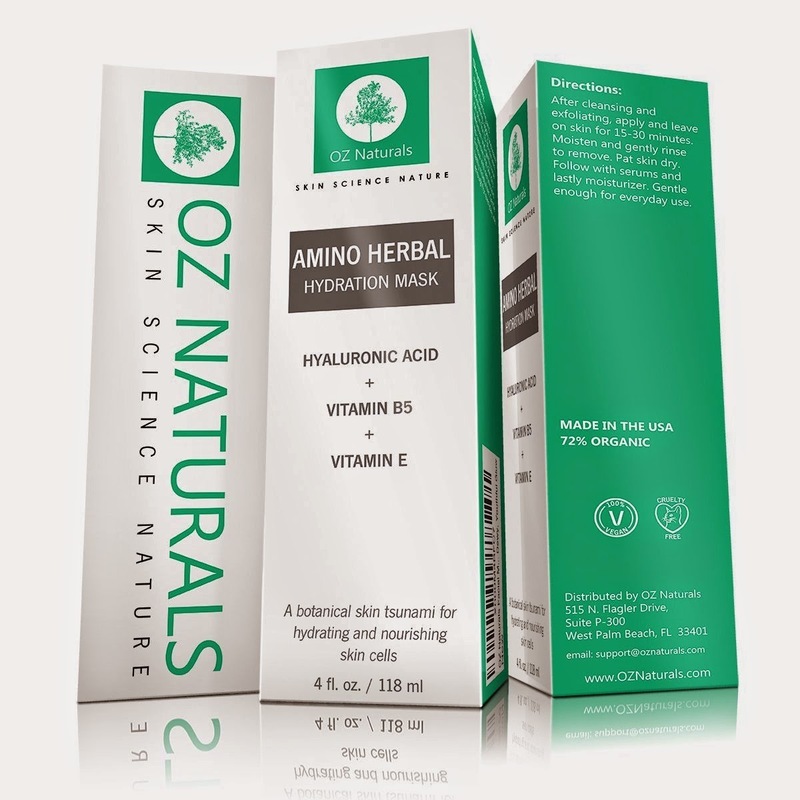 Wanna try Oz Naturals mineral cleanser yourself? For those who do not know what biotin is. It helps with your hair, skin and nails. For those who do not know I have horrible nails. They never grow long and break easily. I usually need them done and overlaid to get them strong. But who has the time and money for that. Usually I keep them short and painted. For me after 30 days of use I did notice longer and stronger nails. I am not sure if my skin is improved. But with my nails being longer I know its working. I plan to try it for an additional month and see how it goes. I do suffer from Fibromyalgia so my hair may be more temperamental then most peoples. But that is where I am the most excited to see a change. I did notice that I was losing less hair when I brushed my hair, while using the Biotin chews. 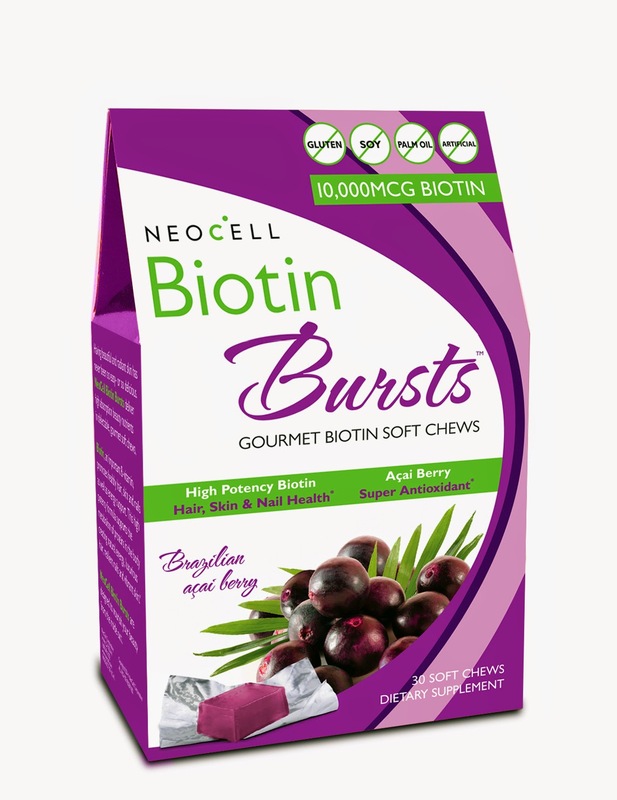 Pick up NeoCell Biotin Bursts Here! Or enter my giveaway for you own package of NeoCell Biotin Bursts. Also it reduces circles and under eye swelling. For me it did seem to help with my circles. But what I loved is that you can feel it working. You will have a tightening feeling when it is working. I even tried it on my Mother and she felt it too. I use my serum daily in the mornings before my concealer. And after using it a while I needed less concealer to cover up my eyes. I would recommend this product, to someone who has aging eye issues, or even circles like me. Wanna try the Refresh Recovery Eye Serum? When I was asked to review the Derma Roller. I was not sure what one was. I know you use it on your skin but that was about all I knew. So what is it? Its a roller for your skin that has mini needles. The idea of that did frighten me a bit. But when I read an article in Shape magazine recently I was sold. I use the derma roller each night. I then apply night cream or serum, depending if I feel dry skin. After about a month of using it I do see a difference in my skin. It isn,t dry and it seems to glow almost. 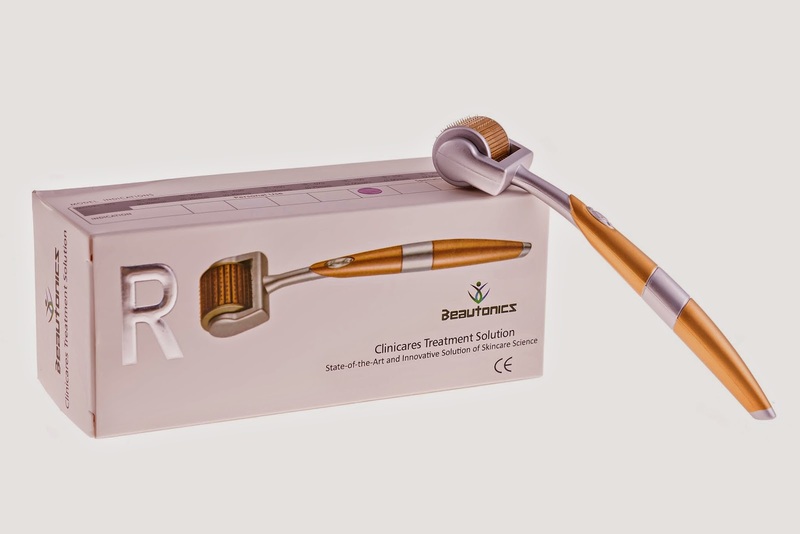 I would recommend this derma roller to anyone who is looking to change their skin texture. I forgot the best part of that article? The Derma roller they recommended cost $300 this one is a lot cheaper. I received Arvazallia Advanced Hair Repair Moisturizing Shampoo and Repair Daily Conditioner for review. However, the thoughts and opinions are that of my own. 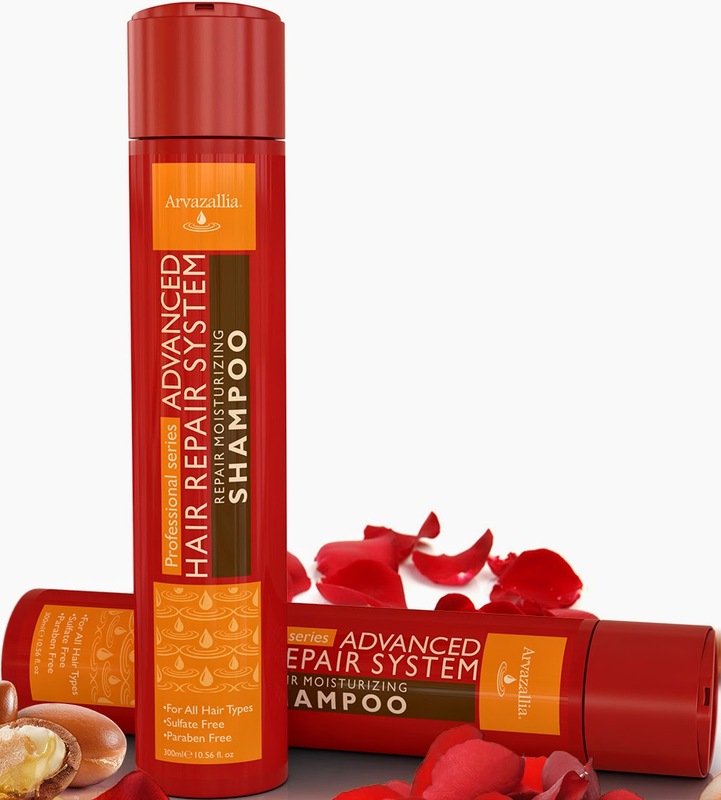 I am somewhat a newbie when it comes to sulfate free shampoos. I have bought a few brands but never found one I love. I used both the shampoo and conditioner daily.And once a week used Arvazallia's Argan oil hair mask.And I did this for the last 3 weeks. I liked the idea of sulfate free but I never knew if I was using enough product. Normally I tell by the lather and the flexible feel I get when washing my hair. But after a day or two I figured it out. So the real question how did it work on my hair? It worked OK! I was not in love with the shampoo and conditioner. One day my hair seemed like a greasy mess, not normal for me. But I had been working out. After the shower my hair seemed to be still a bit greasy.I had to take two showers that day to remove the grease. I also noticed that when I washed my hair the water seemed to be brown. I do dye my hair but it never fades like that. I thought it was a fluke but then washed it a few times without showering. The water still seemed to have a brown tone. So by the time my three weeks were up my hair got lighter. I don't want to blame this completely on the shampoo. I have VERY hard water so my color does fade a bit. But never like this. The best product of the bunch is the hair mask. I used the conditioner daily because I have very long hair. The feel after that just Ok. I had a hard time combing my hair wet. It would pull. However, when I used the conditioning mask my hair was great. It was soft and was easy to comb. If I had to choose Id use the shampoo and the mask daily since I have dry hair.